If you are interested in buying a property but you do not know where to find it, Casas Espania is the real estate in La Siesta (Torrevieja) that you are looking for. Our agency offers you the possibility to choose from a wide range of first and second-hand homes. A varied catalogue so you can find the property of your dreams. Our real estate agents will care about you, from the first moment you get in touch with us. There are many properties that our company has. For that reason, our qualified employees will study in detail the needs of the client to advise the best housing for him and his family. We have wonderful apartments, fantastic bungalows, mysterious cave houses, incredible duplexes, estates, townhouses and villas. A whole range of quality homes so you can cherish the pleasure and luxury of living in a charming place. Similarly, if your intention is to rent instead of buying, you will also have the possibility to access our offers. Casa Espania just wants your enjoyment. 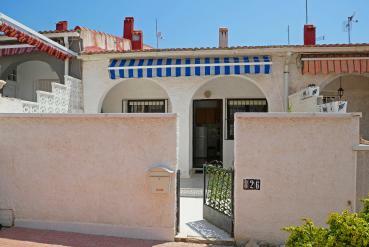 Our real estate in La Siesta has homes located in formidable places to enjoy the good weather. The Costa Blanca (Alicante) and Costa Calida (Murcia) are two beautiful parts of Spain, where heat and fun are the protagonists. In our homes, you will have the privilege of living in a great Mediterranean climate. Temperatures in this area average 15º in winter and 30º in summer. So, during the 12 months of the year, the sun shines for more than 12 hours per day. If you want to know more information about the qualities of our properties, contact Casas Espania: your real estate in La Siesta. We have two offices so you can access us more easily. The other office is located in La Zenia (Orihuela Costa), in La Zenia Golf 4B. Similarly, you can call us at 0034 965 083 434, 0034 678 756 648 or, 0044 114 63 0003. For more information, you can send us an email to: info@casasespania.com.